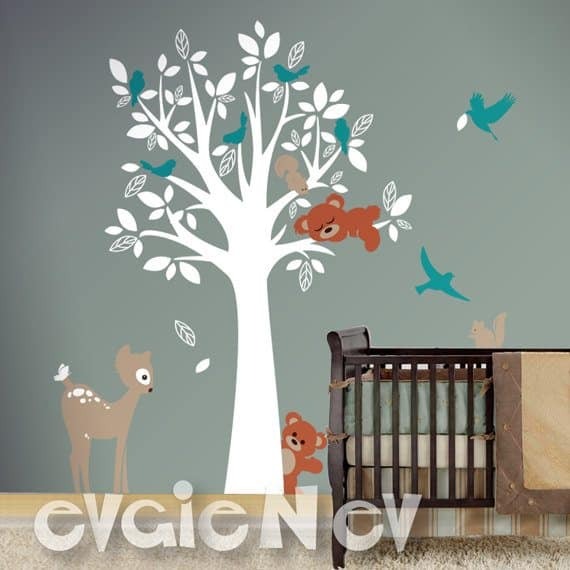 HomegiveawayWin $150 To Spend At Evgie Wall Decals! When a New Year begins a wave of “Do Over” washes over me. I look at my (incredibly) unorganized garage and have images of bins and labels. Ah, organization bliss! For my girls rooms I envision great design… and clothes not being thrown all over the place! Different wall colors come to mind as well. Painting a house is a huge job – especially if you want to change a really big room. 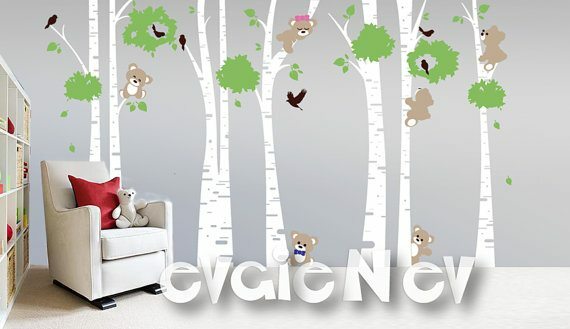 It’s easy to redecorate any room when you use wall decals from Evgie. 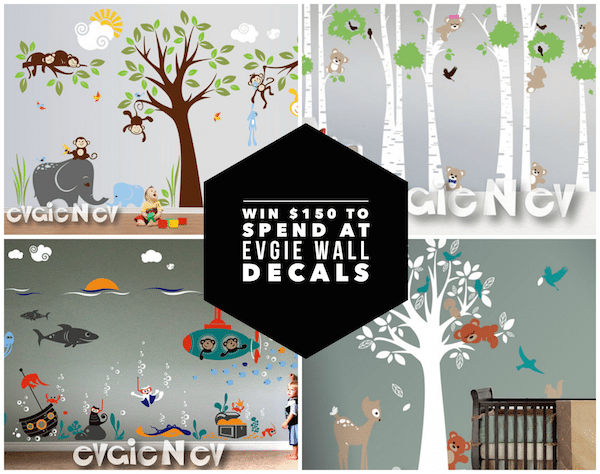 Enter now for your chance to Win $150 To Spend At Evgie Wall Decals! Evgie is a great place to find wall decals. 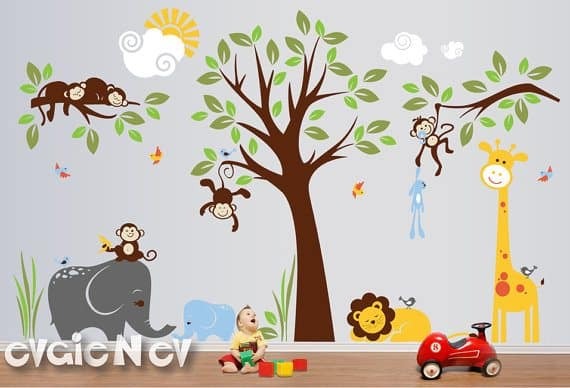 Their vinyl decals are made from high quality matte vinyl which looks like it is painted on the wall. It is removable, so it’s simple to transform any room over and over again. Just peel and stick, it’s so easy! They will apply to most smooth surfaces. It’s also removable and won’t damage walls! They are also customizable. 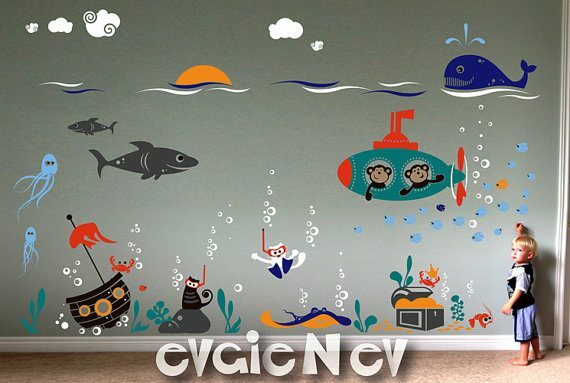 For example the Ocean Friends Wall decals is available in different colors! Color changes are available at no additional charge and you can choose up to 7 colors from their color chart. You must choose ONE single color FOR ONE another single color. For example, all elements in ORANGE to the same elements in TEAL. Cherry Blossom Tree Wall Decal – Tree with Birds. Oh! I like that one too. So pretty!